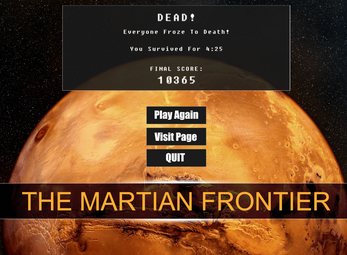 "The Martian Frontier" is a cooperative real time strategy game about maintaining the conditions necessary for human life on the hostile red planet Mars. 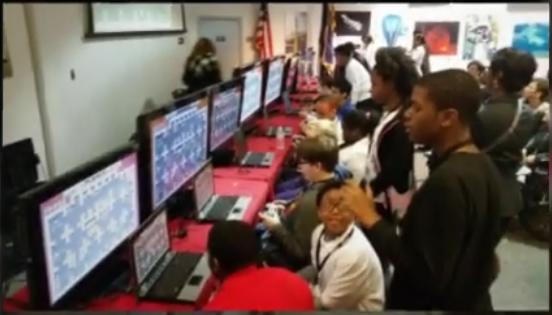 This game was made specifically for a live competition event at the NASA Goddard Space Center, April 14th 2016. 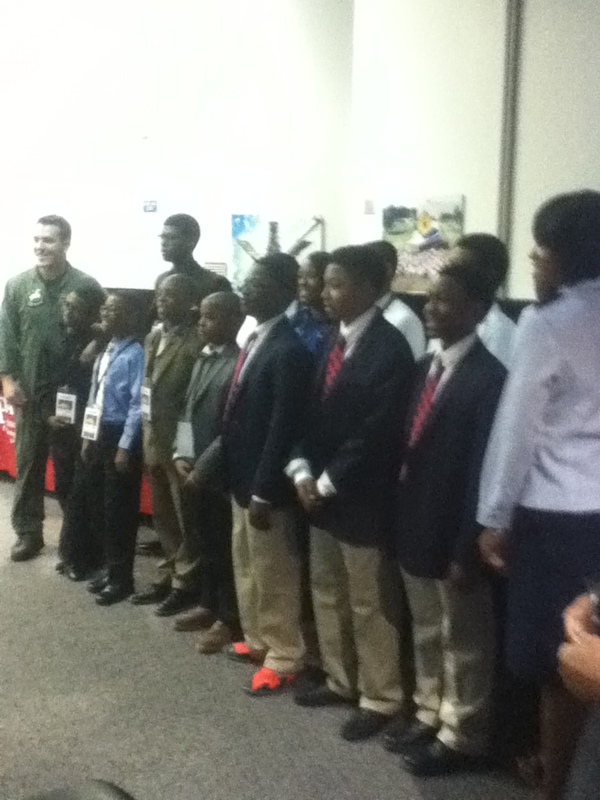 Eight teams of middle-school students competed for a chance to win a week at space camp! 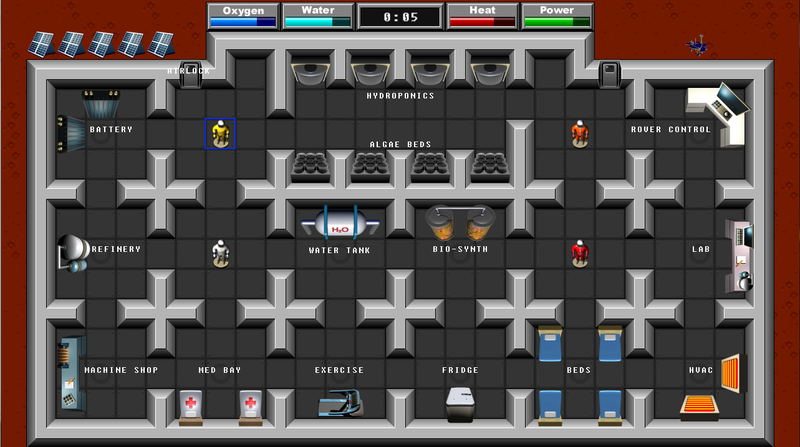 This release shows the basic gameplay. Your session will end after ten minutes, or if you kill your colonists. 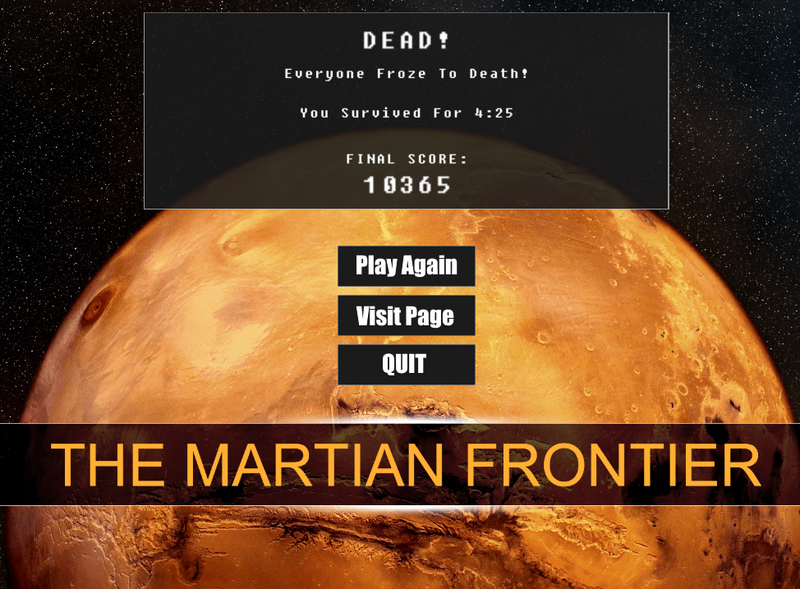 Keep all the colonists alive and healthy while performing scientific research on Mars. Move your 4 colonist around the board, performing various actions in the different parts of your Mars Base. It is possible to play with either one or two players. Grow plants and algae for food and oxygen. Keep all the machines in working order by performing routine maintenance. Refine martian soil into material for your advanced 3D printer to create things you need in the machine shop. Eat when you're hungry, sleep when you're tired, exercise when you feel weak. Perform scientific research for bonus points. 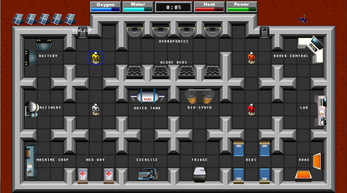 The version available here is not the final version of the game, but it is free for personal use. Double-click the round blue icon to run.